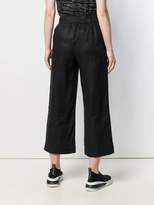 American fashion house DKNY is very well known for ''pulling off the balancing act of life''. 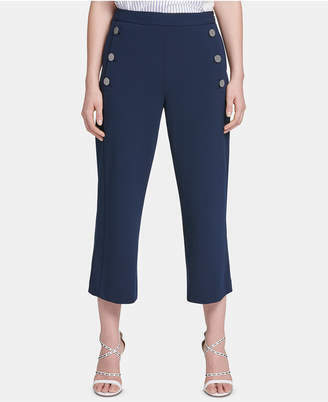 The brand's designs are often inspired by the New York life and its dynamic and luxurious spirit. 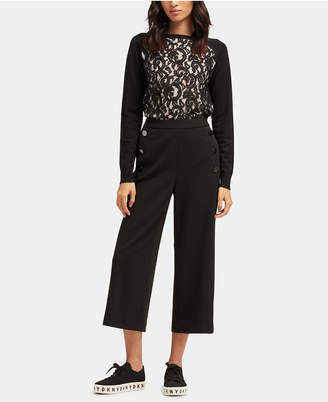 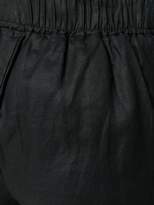 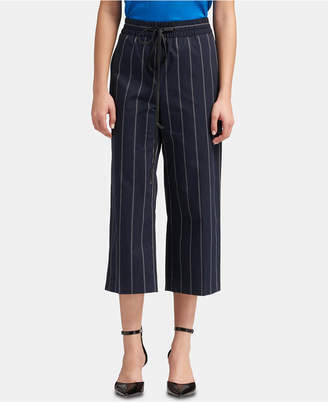 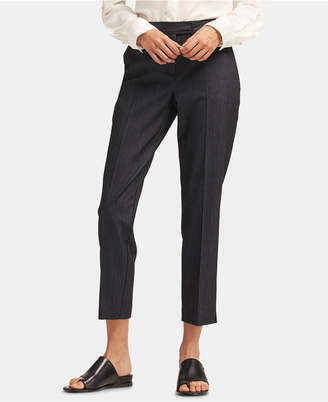 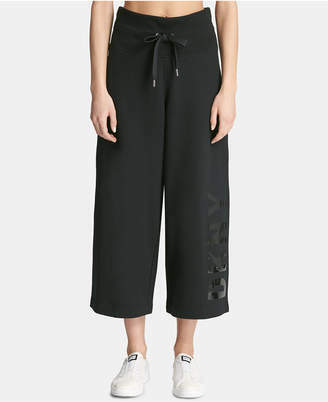 These black linen blend trousers feature a waistband with belt loops, a tie waist, side slit pockets, a wide leg and a cropped length.